Skin tone icing color palette and the formulas you need to recreate them! When I make different colors with the same ratios (like the 1st and 2nd or 3rd and 5th colors above), I usually make the darkest color first. Then I add some of the darker colored icing into a bowl of fresh white icing to make a lighter version of the same icing. Grab the cutters: Tassel, Boy Graduate, Girl Graduate, Paw Print, Confetti Ribbon, and Diploma. See how I made the GIRL GRADUATE cookies here. See how I made the BOY GRADUATE cookies here. 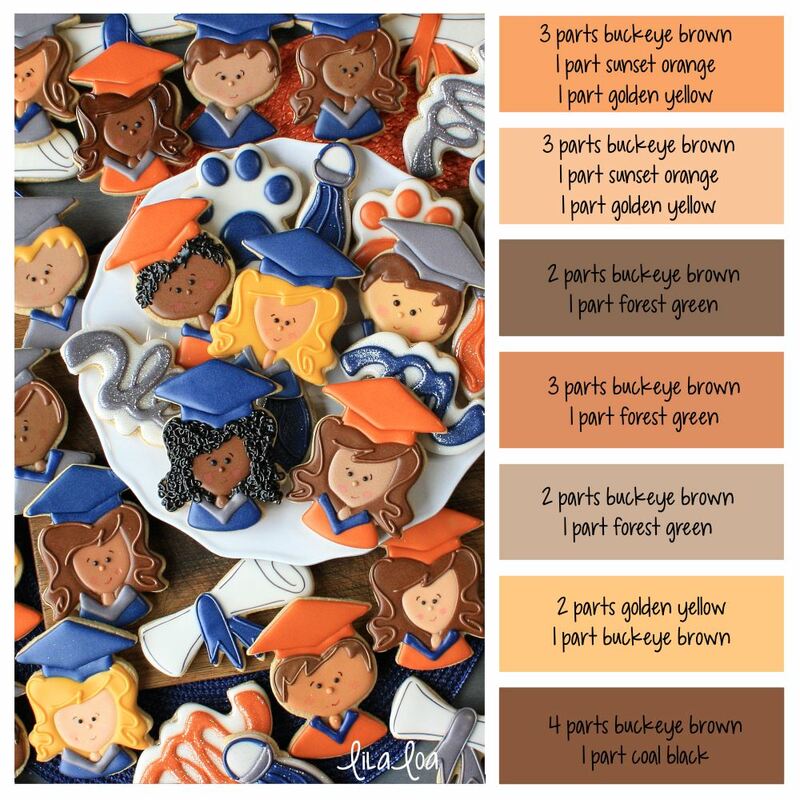 Grab the tutorial for the GRADUATION TASSEL cookies here. See how I made the CONFETTI RIBBON cookies here. How to make PAW PRINT COOKIES that won't crater.